I think it’s time for a new political direction. And maybe even a new party. I like the sound of the Common Sense Party because it speaks volumes about the current situation. And a new party completely meshes with the various debates I’ve recently had with family, friends, and colleagues who are on both sides of the political spectrum. Republicans currently control the Senate and the House, and almost two-thirds of governor’s offices. Over the past nine years, Republicans have gained about 1,000 seats in the state legislature and currently dominate at a rate not seen since the Civil War. Republicans control both chambers in 32 states, including 17 with veto-proof majorities. the top one-tenth of 1 percent owning more than the entire bottom 90 percent. Can someone in the 90% please answer that question for me? Last month Republican Congress approved one of the cruelest pieces of legislature in history. And yet many Americans don’t seem to care that 23 million of us may soon be without health insurance while billionaires will enjoy ridiculously generous tax breaks. And according to the Congressional Budget Office, not only would the American Health Care Act leave 23+ million of us without insurance but they also warned that premiums for older workers and lower income Americans would soar. Thanks for your flip-flop and take-charge input Mr. President. Speaking of take-charge, the Republicans seem to be in charge of everything these days. Powerful corporations with selfish agendas also have significant influence over all things economic and political in our country. 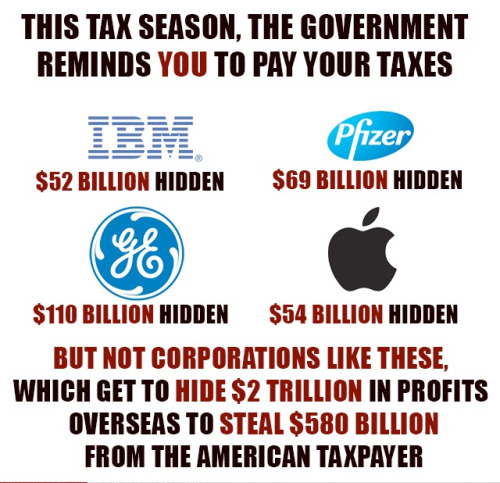 So here it is folks: Republicans and big business are the now the masters of the American universe. The Republicans insist that low taxes on the rich are the key to prosperity. Not the struggling middle class. Not the lower income Americans. And now the American Health Care Act Part Two is in the competent hands of the Republican Senators, right? But why is the plan top secret? And why are there no female Senators in on their cloak-and-dagger pet project? Senate majority leader Mitch McConnell created a working group of 13 male senators, including himself to work on the health care bill. He made sure to include staunch conservatives and ardent foes of the Affordable Care Act, but not one woman. Thirteen senators in the group and Mitch couldn’t give one of those seats to a female? Shouldn’t every woman in America be alarmed by that? The Middle class keeps shrinking, women continue to get the shaft, and the poor are getting poorer, while Republicans are focused on providing the top 1% with $3 trillion in tax cuts. 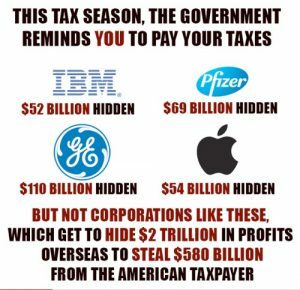 Why are Americans allowing our government to coddle and reward the 1%? Why aren’t the 99% of Americans outraged that while we struggle to get health care, housing, education, and even clean drinking water, the Republicans along with the 1% hold our purse strings? The United States has one of the lowest election turnouts of any major country on earth. And think of it this way: If liberals voted at the same rate as conservatives, Hillary Clinton would be president and the Democrats would control the Senate. Some will say that would have been terrible, which is why a new political party might be what’s needed to heal our wounds and come together as one America. An America that works for all of us, not just the 1%. In 2016, 43% of eligible Americans between the ages of 18 and 24 voted in the presidential election, vs. 71% of Americans over the age of 65. Midterm elections were even worse: In 2014, 17% of Americans between 18 and 24 voted, compared to 59% of seniors. An appalling 36.7% of eligible voters cast ballots in 2014. Think about that. Do the youth in America not realize that this land is their land? Stop texting and listen up kids: Are you completely oblivious to what’s happening to your future? Americans over 65 had their turn. It’s your turn now. The future is up to you. Start voting already. Otherwise the GOP keep on winning. And a YUGE tax cut for the wealthy is on its way. And can someone organize the next massive protest march ASAP? 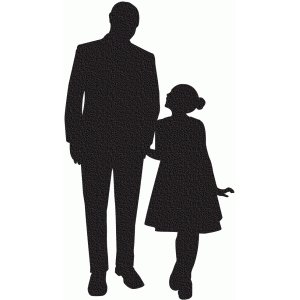 If you know me, or my blog, I often write about being fatherless, and its cause and effect on the past 60+ years of my life. The annual Father-Daughter Dance at St. Ambrose School in Bridgeport Connecticut during the early 60’s, was the blockbuster event of the year. For me, it was the tragic reality that as the only one in my class without a father, I couldn’t go. The nuns, of course, knew of my fatherlessness, and were vicious about it; whispering gossip to each other about me and my unusual family unit. As a divorcée, my mother was excommunicated by the Catholic Church. As such, she was deemed a sinner by St. Ambrose and as her child so was I. The nuns accused me of sinning, while the parents of my friends labeled my home broken. So from grades 1-8, I enviably sat that dance out. But oh how my imagination ran wild. I conjured up in my young inventive head how magical the night would be. Me the belle of the Father-Daughter ball, sparkling in a Cinderella gown, and my father the most handsome man in the room, dressed to kill in a fancy tuxedo. All eyes would be on us as we made our grand entrance into the transformed cafeteria and danced and twirled the unforgettable night away. Everyone in attendance would ooh and aah at the bedazzled and priceless diamond necklace my father had surprised me with. And no chintzy corsage for me. My wrist was adorned with a matching dazzling diamond bracelet. I envisioned posing for the Father–Daughter photo, a swarm of paparazzi bulbs popping all around the two of us. Year after lousy year I was harshly reminded of the sin, the broken home, the fatherless void. Thirty-nine-year-old French President Emmanuel Macron has lectured Putin and faced down Trump’s aggressive handshake. He has been in office for less than three weeks, and has already asserted himself as a top-down operator and shown the world what “Presidential” means. Like the United States, French politics are sharply divided along ideological lines between the left and right. Macron has been described as a nimble politician who is able to juggle two opposing viewpoints at once. “And at the same time,” is a catch phrase Macron uses in most of his speeches to reflect his ability to strategically balance. His willingness to find a middle ground appealed to many French voters who didn’t see themselves as adequately represented by any of the other presidential candidates. And that strategically balanced middle ground is the reason why Macron became the President of France. 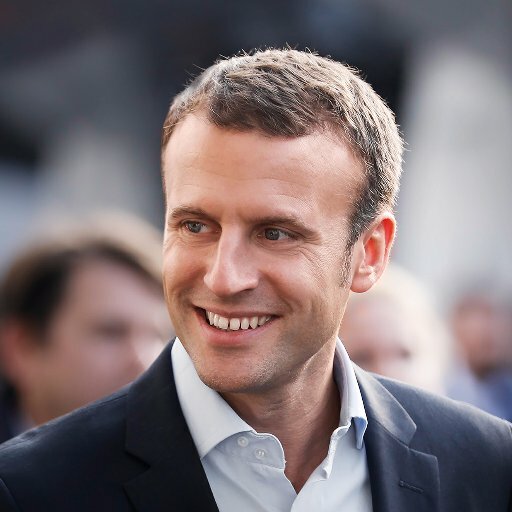 As I fervently read as much about him as possible, and then watched him tackle Putin and Trump head on, I quickly deduced that the U.S. could use a politician like Macron. If there any U.S. Macron’s out there who can save us from this political dogfight, please show yourself! Democrat, Republican, Independent, whatever. Throughout Macron’s campaign, he emphasized his concern that France and its partner Germany were being threatened by two unpredictable behemoths: Trump’s America and Russia. On the eve of Trump’s announcement that the U.S. would pull out of the Paris climate deal, Macron was blunt about the consequences of that decision. In a phone call to Trump, Macron reportedly sternly told him that France would continue to work with the U.S., but not on climate change. He also issued a joint written statement with Germany and Italy directly affirming that the Paris accords would not be renegotiated. Last night, while he started off in French, he strayed away from the cherished national tongue by speaking to his country, and the world, in English and broadsided Trump. He chided Trump’s decision to abandon the global climate pact calling it an “error for the interests of his country, his people and a mistake for the future of our planet. “Don’t be mistaken on climate; there is no plan B because there is no planet B,” Macron said solemnly. As he spoke those words, I felt his sincerity, and they struck me as ironic, and got me thinking about his view of America vs. Trump’s America. That Macron believes in all Americans, not just some Americans. And that this isn’t about Trump. This is bigger than Trump. This is about who we are as a nation. All of us, not just some of us. And when Macron purposefully ended his speech by asking the world to “Make our planet great again,” I couldn’t help but feel slightly vindicated, but mostly hopeful. Today, EU officials have decided to cut out Trump’s White House and deal directly with the U.S. states and major corporations, many of whom have already pledged to live by the terms forged in Paris. A truly brilliant move. Albus Dumbledore, the wizard who tutored Harry Potter in the ways of the world, said it best: There will be a time when we must choose between what’s easy and what’s right. While Trump is playing checkers, the EU is playing chess. Looks like Trump got trumped. Checkmate.